I’m currently working on building an online course to teach instructors how to create effective multimedia to improve learning. One of the resources I created was a list of software tools that they might like using. I thought I’d share this with my readers as well. Let me know if you have any favorites that should be added to the list! Tools are constantly changing. 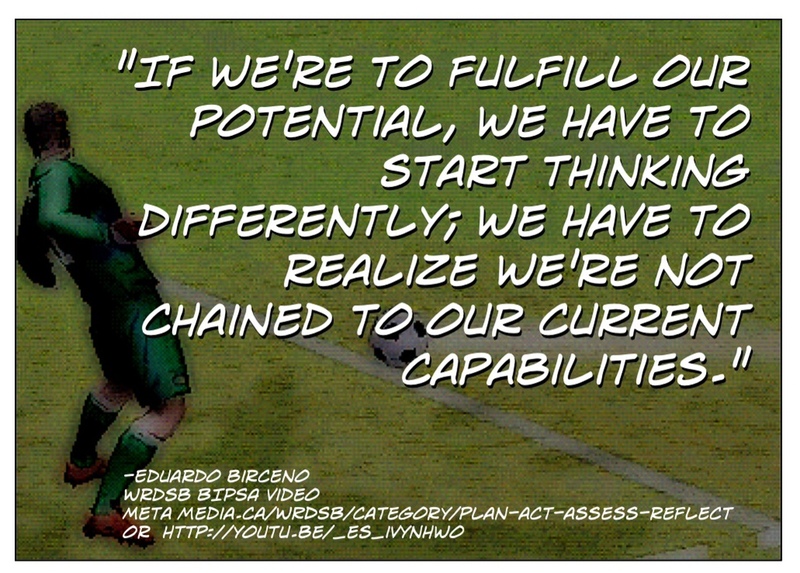 But one thing is almost for certain–they keep getting easier to use! Just about all tools have a free trial download. Test out tools you think you might like to use. Post questions or comments about a particular tool to our Production Tools Discussion Forum. You will most likely need to edit some images, especially ones you find online. Remember to search for re-usable images using Google Image Search http://images.google.com or other search engines/tools. IMPORTANT: You should know how to determine the image file size. On an Apple, simply click the image file and select Apple Control + I. Right click on Windows and select Properties. For most web uses, jpg and gif images work best. File size should be no more than 200 KB per image. Try to get the size as small as possible without quality loss. Preview (Included in Mac operating system) This is by far the easiest tool to resize images, if that is all you need to do. I use it constantly. iPhoto (Included in Mac operating system) Excellent tool to edit and manipulate photos. Microsoft Paint: I’m not sure if this program is still available in the new version of Windows, so if anyone can let me know–thanks! However, I know in the past it was a decent photo/image editor. GimpShop: http://www.gimpshop.com/download.shtml Free, multi-platform, open-source image editing program. I have not used this version, but it is supposed to be very similar to PhotoShop, if you are accustomed to that interfact. Adobe Fireworks: http://www.adobe.com/products/fireworks.html This is a better image editor for web design than PhotoShop. PowerPoint (available for Windows & Mac): Yes, Microsoft PowerPoint can be used as a very simple image creator. Slides can be saved as images, so don’t forget about using this for screencast entry screens or other applications. JingProject http://www.techsmith.com/jing.html (Windows & Mac) Limited to 5 minutes. Google Hangouts (Browser-based) Yes, you can actually use Google Hangouts (make sure you do a Hangout on Air) and then share your screen. Just hangout by yourself, share your screen and talk and then your video will be published to your YouTube account. From there, you can edit the video in the YouTube editor. Mobile Devices: iPhone, iPod, iPad, Android mobile OS: Mobile devices include recording apps to create, record, and publish multimedia. Get to know your mobile device and try out the various ways you can produce multimedia. I suggest getting a tripod and tripod adaptor to keep your device steady while recording. Windows Movie Maker (included in Windows operating system). You can upload a WMV file to YouTube, but please do not upload a WMV file to Moodle for viewing, as these files are only viewable (without additional software) on Windows operating systems. Try to only offer formats that are viewable on multiple platforms, such as mp4. This enables you to more seamlessly follow a script. My colleague has used Promptster, recording on his iPad with incredible results. Authorstream: http://authorstream.com (web-based) I really like this tool because you can upload a narrated PowerPoint, and the tool includes the audio without doing any extra work. You sometimes have issues with PowerPoint for Mac, but I have had very good luck with this tool. It is free and allows anyone to view a narrated PowerPoint through a web browser. Again, you should almost NEVER upload a PowerPoint for viewing online. The files are too large and it requires the user to have this software on his/her computer in order to view it. Remember to always strive to create multimedia that can be viewed on ANY operating system. That means do not upload Windows-only media files! Prezi http://prezi.com A different type of presentation tool that uses a zooming canvas format. You can now record narration in Prezi (you will need to create separate files and upload to each slide/path). Free tool that takes some time to learn. VoiceThread: http://voicethread.com VoiceThread is great, but the free accounts only allow you to create up to five VoiceThreads–not very convenient. They offer licenses and also LTI integration with Moodle, so it’s a tool that maybe should be considered for CCIM courses. Animoto: http://animoto.com This tool creates quick and professional-looking presentations from images. You can add music or narration. To produce longer videos, you need to purchase a license. Adobe Presenter http://www.adobe.com/products/presenter.html (Windows) As with most Adobe products, the price is steep, but the quality is excellent. This tool allows you to create online presentations with many additional features, such as attaching files and embedding quizzes. If you also have an Adobe Connect account, then you can track the statistics on your presentations and quiz feedback. SlideShare: http://slideshare.net (web-based) This is another excellent browser-based slideshow tool that is free and visible on any computer. However, if you have audio narration (which I highly recommend for almost ANY type of slideshow presentation) you need to upload the audio files separately and then sync them manually. authorPOINT: http://authorpoint.com (Windows only) It’s been a while since I’ve visited this site, but it appears they still offer a decent PowerPoint to flash converter. However, this is not a free tool. iSpring PowerPoint to HTML5 converter http://www.ispringsolutions.com (Windows only) This looks like an excellent tool, but is a bit pricey. Timeline JS: http://timeline.verite.co This is a timeline tool that works with Google Sheets and looks very promising. I have not used it, but timelines can be very useful, especially for the creator. Although you may not think a timeline would be useful, you might think of something, such as real estate trends, for instance. Bubbl.us https://bubbl.us Collaborative online concept mapping tool. Perhaps students could collaborate in creating concept map for an assignment. CMAP Tools http://cmap.ihmc.us/download/ Downloadable concept mapping tool. Can export as PDF or image and insert on course site to explain concepts or connections. Voice Memo (iPhone/iPod) Excellent quality audio recorder (can also trim recordings) that can be shared via messaging or email. File format is m4a. Voice Recorders on Android devices: Again, excellent quality recordings which offer more options for uploading to cloud storage, such as Dropbox. Audacity: http://audacity.sourceforge.net Free, multiplatform, open-source audio recording/editing program. Excellent and easy to use. Make sure you also install the LAME encoder to encode audio files to mp3. GarageBand (Included in Mac operating system) Chris and I have used this tool for years in our Cool Teacher Podcast. Remember, not all tutorials need to be narrated videos. You might want to create a very quick static tutorial with text and images. The one program I really love is Clarify-It, as it enables quick creation of tutorials, publishing them online and also offering HTML code and PDF creation. I like to create multiple ways for students to share, interact, and communicate in online courses. We use Moodle in our department (Boise State Department of Educational Technology). As Moodle continues to evolve, with its active community of developers, I am discovering new ways to create more seamless and even public interaction. Moodle has always included built-in blogs, which can be set to be course and even page-related. So, if you want your students to easily post to a course blog, you can do this. Or, if you want them to post to their blog about a certain page, you can do that too. And, you can always post site-wide to a Moodle installation. 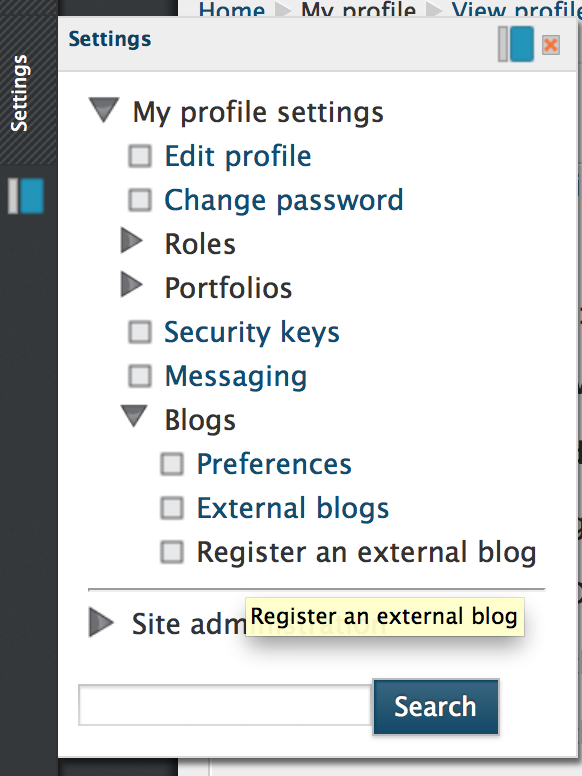 Another neat feature in the Moodle blogging toolset is the ability to register an external blog and then set certain tag filters to automatically post to your Moodle blog. This creates a super-easy way to share posts you’ve written to your blog automatically to your Moodle site. I’m using this post as an example of how to do this. Then, add the FEED URL of your blog to the required information and add a filter tag to send any posts with this tag to your Moodle blog. You can also designate if you want your Moodle blog to contain certain tags, too, which will enable filtering on the Moodle site of blog posts. So, your students might simply want to post to their own blogs and use their filter tags to automatically send to their Moodle blogs. I think this is a powerful feature, and something that maybe many instructors and course designers might not be aware of. I highly recommend trying out and using blogs in Moodle courses, as an alternative to discussion forums. Of course, if you want to grade discussions, then Moodle blogs are not the choice, as they cannot be rated/graded. Let me know about your experiences with using the blogging tools in Moodle and also the external blog feature. I like to make my courses personal and myself easily accessible to my students. One really easy way to do this is to encourage or rather force your students to use Gmail Chat to contact you. If you are an online instructor, then you spend a lot of time online. Also with the availability of mobile devices, you can be accessible almost anywhere, anytime for your students. This does not mean that you should have no time of your own! You can decide when to answer Gmail chat inquiries from your students. And most students will understand you are not available 24 hours 7 days a week. However using Gmail chat can be of great benefit to your students and yourself in answering quick questions and moving forward. The last thing I want to see is a pile of emails in my inbox that I need to read and then answer. I’d rather have a student contact me instantly, ask the question, and get on with our lives. It is essential that you have your students add your email to their Gmail contact list. You will receive a notification that someone has invited you and all you have to do is accept. 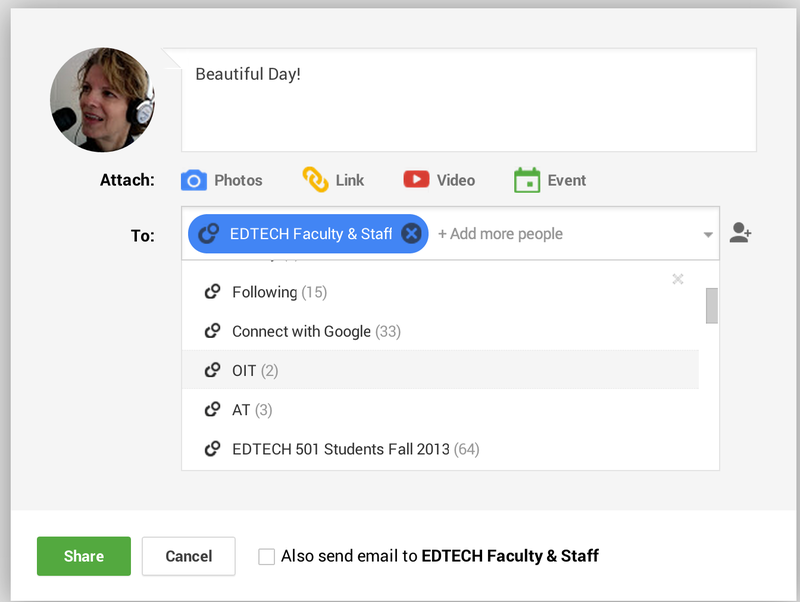 From here on out that student will be able to contact you synchronously using Gmail chat. Provide tutorial links to your students so that they know how to add you to their contact list and also how to access gmail chat. You might also tell them about the various mobile apps that will enable them to chat with you when they are on the move with their mobile devices. Gmail chat also offers you the ability to send text messages, so your students could send a text message to your mobile number without incurring any additional charges on their own mobile device. Plus if they don’t have a mobile device they can still send you text messages this way. I highly recommend setting up a Google Voice account and using this number as your cell phone number. That way you won’t have to give out your personal cell phone number to your students. Also tell your students if they have an android mobile device they can use the Google Talk app, which will allow them to communicate with you via gmail chat. If they are using an iPhone, they can use very if third party apps. IMO is a nice iPhone app. So stay current with your students, create a personal atmosphere– a dynamic community of learners that will appreciate your immediate support and the free flow of communication. My students are working on a collaborative project this week, tackling a pretty difficult scenario on digital inequality. It’s a lot to ask to complete in just one week–the topic itself deserves more time and then add online collaboration to that– and well, I hope my students will still talk to me after this! However, it’s summer session, which means a 16-week course is compressed into eight. It’s a great way to obtain 3 graduate credits, but it’s a grind–for both teacher AND students. I just heard from one of my students about not being able to embed authorSTREAM on WordPress, so I’m writing a post to address that. I find that writing a blog post to answer a student’s questions is a great way to keep posting to my blog, while also answering student questions. I tested the WordPress embed code in authorSTREAM and guess what–IT DIDN’T WORK! So, I did a little digging (took me about 3 minutes) and found a post on authorSTREAM support forum saying that the WordPress embed code would not work on WordPress.com sites. They also stated that the regular embed code would work. Well, anyone who works with WordPress.com knows that any embed code with flash tags will be stripped out–so that embed code will not work either. What to do? Short codes with the gigya syntax. After all, I figured out how to embed a Prezi using gigya, so why not authorSTREAM? You should be able to copy my gigya syntax and simply paste the information after the swf? into the end of my gigya syntax. Let me know if you have been successful embedding an authorSTREAM presentation on WordPress.com using another syntax or method.